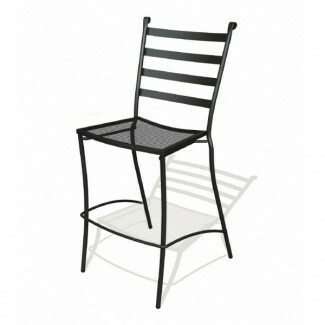 Our Terrace Bar Stool has a beautiful slat back design accented by curvatures of the back. Designed for both aesthetic appeal and outstanding strength, each of the seating options in the Terrace collection are built to withstand commercial restaurant use. This bar stool is stackable and in stock for immediate shipment.